Similar to other iGPU-only Macs, the 2018 Mac mini can use an Nvidia eGPU in Windows without much trouble. Once graphics drivers are installed, the eGPU will take over as the primary and only graphics card. This means the monitor connection is through the eGPU because the Intel UHD Graphics 630 is deactivated and has no monitor output. There are instances when having the iGPU activated alongside eGPU is beneficial. One scenario is LG UltraFine 5K use with an eGPU that's not Blackmagic. This build guide is for those who need iGPU for Nvidia Optimus loop-back mode. I started the Razer Core + RTX 2070 setup process by hot-plugging in Windows Desktop. The Mac mini could detect the eGPU and start the driver installation automatically. I proceeded to shut it down and switch the HDMI cable from the back of the Mac mini to the RTX 2070 eGPU. The system booted into Windows with RTX 2070 eGPU working fully. This is the conventional setup for best performance. In order to activate the Intel iGPU while booting up with an Nvidia eGPU connected, I used @goalque's eGPU EFI Boot Manager. This boot manager detected the RTX 2070 as an external GPU and utilized apple_set_os.efi to keep the iGPU activated. Once Windows fully loaded both Intel iGPU and Nvidia eGPU were working with monitor outputs. I also tested hot-plugging in Windows Desktop and timed hot-plugging at Windows logo & spinning circle without EFI Boot Manager. All three methods were succesful. Before running benchmarks in Nvidia Optimus, I opened Intel Graphics settings and changed Power section to best performance. I connected the LG 4K monitor through the HDMI port of the Mac mini. RTX 2070 eGPU had no monitor attached and connected to the Thunderbolt 3 port closest to the Mac mini's HDMI. Once loop-back mode testing finished, I switched the LG 4K monitor over to the RTX 2070's HDMI port. There's a clear performance advantage in using the monitor through an eGPU. Apple's routing of TB3 ports directly to the CPU in this 2018 Mac mini provides the lowest latency possible through Thunderbolt 3 interface. It's a shame the dispute between Apple and Nvidia causes indefinite delay to macOS 10.14 web drivers. It's the only missing piece for Nvidia eGPU in macOS because our current Nvidia eGPU solutions are working well. I used GTX 780 to test with 2018 Mac mini. God this is a beautiful set up, 3 beautiful pieces of hardware. Thinks for testing connecting displays differently because that was at the top of my to ask list. @eightarmedpet I tested AMD eGPU + Intel iGPU in Windows with the Mac mini too. I'm putting together the build guide today. @eightarmedpet Sorry to hear about your Vega 56 not fitting. Which particular model is it? The original Core doesn't have much room for non-reference cooler design. See if you can find an AIO liquid cooler for it. Would make for a fun project customizing the Razer Core + Vega 56 Liquid. Yes, the reference card is definitely loud. If sound level matters even a little I would avoid reference designs for AMD. Argh. Cheers for the replies guys. Looks like I’m stuck again... noise levels do matter, I’ve never had a ref card but if they are anything like my old single fan 1060 they’ll be too loud. Not sure where that leaves me? I want AMD but I want quiet and powerful, would the ref design be louder than my Core? (I can prob go hunt the numbers out... edit: they both appear to be around 45 DB). I wonder if the RX 590 would suffice? I was hoping for a similar easy result with a 1070 and the Sonnet Breakaway enclosure but all I get is being stuck at a flickering Windows logo when rebooting to finish driver installation. Any idea? @itsage Thanks for all the generous time and info you've given to this site, it's been a big help! Especially with this post -- it's great to see there are some workarounds (with a slight performance hit) for those stubborn few of us that are committed to the lg ultrafine monitors, despite all the compatibility problems. I've got a Mac Mini (2018), the 4k Ultrafine, and a Vega 56 inside the Asus XG Station Pro --- I was wondering if you had a chance to duplicate this workaround with the amd vega cards? Would it be the same process? Also, is this loop back solution also possible in MacOS (mojave)? Thanks in advance for any updates on this. @parker85 any update on your set up? For MacOS, the vega 56 and Asus XG station worked instantly, with no problems with either booting connected or hot-plugging afterwards. And I was getting 60fps in Heaven benchmarks on 1440p settings. Again, this is a setup were I have 1 thunderbolt from the mac mini to the egpu, and another from the mini, directly to the ultrafine 4k. I tried following @itsage 's guide, but it didn't work quite so directly -- I booted into windows with the automate-eGPU EFI, however, I think because of this unconventional setup (with two thunderbolt connections), windows always favored the intel igpu and wouldn't recognize the Vega. With hot-plugging at the loading screen, I could get it for a moment and then it would disappear when trying to install the vega drivers. Or it would give the dreaded error 12 when loading the driver automatically. After that, everything seems to be working in windows: in the device manager, both the intel 630 and the Vega show up, and I assume it knows to use the Vega because I was getting decent scores in Heaven -- although not as good as I was in MacOS, more like lows in the 30's and highs in the 50's. I know there is a penalty here because of this setup and the Ultrafine's obstacles... Yet, perhaps this mini/ultrafine setup is better than it would be on a macbook pro with internal display? Regardless, at the moment I'm just happy that I got it working. I'm hoping that with CES in January, AMD will release new cards that will have a USB-C out just like the Nvidia RTX series, and then I can return performance with direct card acceleration of the display. 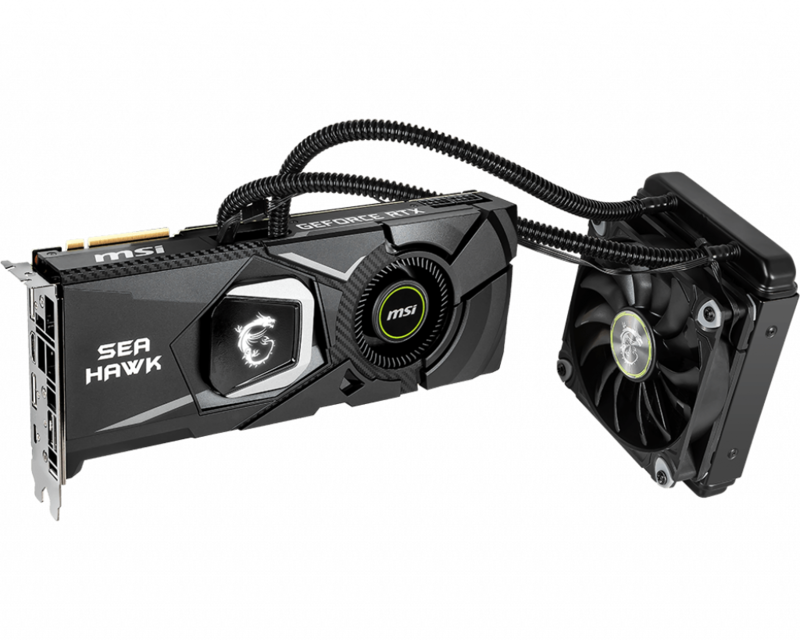 But until then (or if apple decides to support Nvidia) this will have to be my solution, because I need a card that can work in both operating systems -- And I just can't part with my LG Ultrafine! But please let me know if there might be a better solution or if I may have erred in any way, that I could redress for better results. And many thanks again to you @eightarmedpet and @itsage. - LG Ultrafine 4k Display (usb C) + Macbook Pro 15' 2018 + RTX 2070 + Razer Core X.
I want to use this in OS Mojave, is there any workaround? I rather not take the bootcamp route for now if possible. The other option is Vega 64 instead of RTX, but then my USB C monitor would not work. P.S please refer me to another post if you already solved this dilemma. There's no drivers for RTX graphics cards in macOS so your proposed setup will not work. If you're interested in using eGPU with macOS, it's best to go with an AMD card. Wait a couple of months and see whether AMD will introduce new GPUs with USB-C outputs. 2. wait for amd card with USB-c output. 3. get the expensive blackmagic ? @eightarmedpet -- That's troubling to hear that the boot-loader isn't reliable... I guess I'll just have to wait and see if I have similar problems in the long term. Just to clarify: are you using the boot-loader in both MacOS Mojave and Windows? And when did it start to fail? It just stopped detecting the egpu/vega card suddenly, without any change on your part (driver update etc.)? To reiterate my experience: I am only EFI boot-loading into windows, for MacOS I just boot directly and it worked right away, never had a problem. Moreover, as I said, the benchmarks seem pretty good. Have you tried benchmarking with heaven or valley, and if so, what are the results? (Also, I'm sure you know this -- but make sure to set the the preference for the egpu in the right-click "get info" dialogue window for each program that you are running with the egpu). For the Windows error 12 issues, (and I could be wrong) it seems like the Mac Mini is in a much better position than the macbook pros, because of the two thunderbolt drivers -- perhaps @itsage could help explain why that is? I wouldn't draw too many conclusions from bad gaming performance in MacOS -- I've read that even top-spec hackintosh's and Imac pros have gaming issues in MacOS... I think it's more a problem of software developers not having the time or priority to optimize MacOS versions of games. I haven't had time to try gaming on my windows setup yet, but I'll try to soon and update what the experience is like. @macbookprouser19 -- I think there is a 4th option, which is what I'm doing (as detailed above), and so far it seems to be working just fine. Although, as @eightarmedpet mentioned, long term use is still in question. And if you can wait until January and the CES announcements from AMD, that might be better for you. @parker85 - thanks. You are correct regarding a possible 4th option. However, that results in drastic performance loss. Something to do with the way Apple handles the internal gpu. I rather have direct connection to the egpu with my external monitor since i play to use it both for gaming and work. I think waiting for 2-3 months is probably the way to go here and hope that AMD release Usb-c port with the cards. If Nvidia went that route I think they will too. I would love the RTX series, but I am put off by the $139 windows home fee for bootcamp install. @macbookprouser19 -- Yes, that's true that in macbook pro 'loop-back' egpu setups there is significant performance loss, however that isn't necessarily true for the Mac Mini, which was what this build guide by @itsage was trying to show. Remember this is a guide for the Mac Mini. In the above benchmarks, the difference between the 'loop back' setup vs. the direct connection to the monitor shows only a minor loss in performance -- sometimes by only 5 or 6 frames per second. I think that is pretty encouraging and still a good performance/value proposition for Vega cards and USB-C monitors. But if you are planning to stick with the macbook pro, and you aren't interested in the Mac Mini, then yes, it makes sense to wait for a proper USB-C solution from AMD's new cards (or possibly from some new case offerings now that thunderbolt 3 has become royalty free I would think there will be more cases that will offer a thunderbolt output... maybe...). Ah, also! Regarding paying for windows: there are a number of third party sellers for Windows 10 keys that go for pretty cheap -- often below $30. I bought my key from a third party and it worked... I think I paid 20 dollars. It's a shame the dispute between Apple and Nvidia causes indefinite delay to macOS 10.14 web drivers. It's the only missing piece for Nvidia eGPU in macOS because our current Nvidia eGPU solutions are working well. I used GTX 780 to test with 2018 Mac mini. The shame about the dispute: That's really annoying! maybe than the navi-Gerneration is launched. Gtx 780 at 10.14: Old webdriver are running at mojave? Is it possible to get a gtx580 running, too? I’m new to egpu.io – great site and community! @itsage Thanks for your build guide and reviews - all really useful! Apologies for the double post (also on the Razer Core X review page) but I’m looking at getting a Razer Core X with MSI RTX 2080 TI Sea Hawk X and am trying to figure out if there is sufficient clearance for the fan, which is 154mm tall and 52mm deep. They're both on pre-order right now (so I can still back out if I need to)... Can anyone who has a Core X confirm whether this will fit, if I remove the 120mm fan bracket as shown in the proof of concept photos on the Core X review? @imtorn It will fit in the space where the 120mm fan and bracket reside. Most of the work will be cable management so that PCIe cables don't get caught in the path of the GPU's cooling fan and radiator assembly.